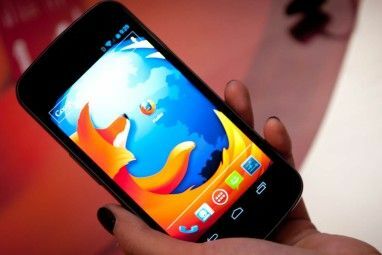 The Internet has made us more productive than ever before, and the browser is the gateway to all that productivity. 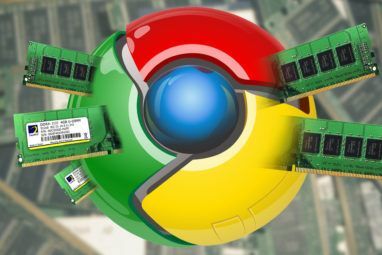 If you’re a Google Chrome user (and if you aren’t, here’s the easy guide to get started The Easy Guide to Google Chrome The Easy Guide to Google Chrome This Chrome user guide shows everything you need to know about the Google Chrome browser. It covers the basics of using Google Chrome that is important for any beginner. Read More ), its many extensions and apps can help you turn it into a productivity beast. Dayboard lists your tasks and has a “focus mode” to concentrate on one task at a time too. It’s one of the coolest ways to revamp your start screen Revamp Chrome's Default Tab Page With One Of These 4 Start Screens Revamp Chrome's Default Tab Page With One Of These 4 Start Screens A good start screen can transform the way you browse and work. It's time you got one. Use one of these alternatives for the New Tab page, to ensure that you're browsing effectively. Read More . Momentum is another super-useful browser start screen 2 Super-Useful Browser Start Screens You Should Start Using Today 2 Super-Useful Browser Start Screens You Should Start Using Today Ah, the new tab page. Such a great opportunity for productivity that so often goes to waste. And it's hard to find the perfect one. Read More with an inspiring wallpaper, a to-do list, and space for quick links. Any.do is a cross-platform app with a Chrome extension, so you can get to your to-do list from any device. The extension also lets you add tasks from your Gmail inbox. There are plenty of other choices, so it’s really up to you. Remember the five commandments to pick the right to-do list app The 5 Commandments for Choosing the Right To-Do App for Productivity The 5 Commandments for Choosing the Right To-Do App for Productivity Different people organize in different ways. So choosing a to-do app really depends on what kind of person you are. Here are five commandments you can think about for your own productivity system. Read More and go with what works for you. Productivity is all about data. To know what works and what doesn’t, you need to track how you are spending time in your browser. If you are getting lost in the world of Wikipedia for far too much time when you should be writing that presentation, that’s not okay. There are some handy services to get your online life under control 4 Handy Services To Get Your Online Life Under Control 4 Handy Services To Get Your Online Life Under Control We're subscribed to so many newsletters, and are members of a countless number of services and social networks, and usually our email accounts are always the first ones to get bogged down with a flood... Read More , but why use a web app when you can have a Chrome extension? RescueTime is one of the most powerful time tracking extensions, and it’s available for other platforms too. It’s also the one extension which is reasonably accurate in figuring out when you have walked away from your computer, so the data is more reliable. Limitless [No Longer Available] is the new kid on the block, but Aaron reckons it’s the ultimate productivity companion for Chrome Limitless For Chrome: The Ultimate Productivity Companion Limitless For Chrome: The Ultimate Productivity Companion Where did the time go? You got on your computer and suddenly it's been 3 hours and you're in some vast part of the Interwebs. This is where Limitless comes in. Read More . Again, you’ll get the exact amount of time you spent on any site, but it has the added incentive of motivational messages and grouping sites into categories like “fun”, “work”, “technology” and more. The Internet is full of tempting headlines waiting to be clicked 10 Sure Signs You've Fallen For Click Bait 10 Sure Signs You've Fallen For Click Bait With The Onion's new satirical publication, Clickhole, the social webs have finally taken a good look in the mirror. If you were unconscious to click bait, it's time you woke up. Read More , but you need to concentrate on your work. When it’s time to get things done, rather than exercising your willpower, just eliminate the distractions. A few cool extensions can block those time-drain websites so you aren’t tempted. Productivity Owl is simply about blocking sites. Set a time, add sites you don’t want to visit, and you’re done. If you try to go there, the owl’s stern scolding will keep you away Productivity Owl Swoops In To Save You From Time Sinks [Chrome] Productivity Owl Swoops In To Save You From Time Sinks [Chrome] Feeling distracted? Productivity Owl is an enchanted, judgmental creature who will swoop in to save you from yourself – just when you need it the most. He's not your friend – in fact, you will... Read More . StayFocusd recognizes that you’re not a robot who can go without any fun. So it lets you set a number of daily distractions and bid goodbye to the rest Stay Focused With StayFocusd For Google Chrome And Say Goodbye To Distractions Stay Focused With StayFocusd For Google Chrome And Say Goodbye To Distractions The Internet is a vast place, with loads of information that can often be overwhelming. It would be an understatement to say that it’s the primary resource for research and getting work done. But don’t... Read More . Cross that number and you’ll be blocked from visiting your favourite pastimes. TimeWarp isn’t about blocking sites. Instead, when you try to visit one of your favourite sites, it will simply redirect you to a work page. Simple. It’s not about fighting your urge, just go with the flow. Read our review to know more TimeWarp Redirects Distractions, Keeping You Focused [Chrome] TimeWarp Redirects Distractions, Keeping You Focused [Chrome] Automatically teleport yourself to a productive site every time you try to visit a site you know you shouldn't. TimeWarp may be simple, but it's effective at reminding you to stop procrastinating – sometimes so... Read More . The Pomodoro productivity technique Cut Through Procrastination With These Pomodoro Technique Apps & Software Cut Through Procrastination With These Pomodoro Technique Apps & Software Procrastination is a malady that pervades students and workers in all corners of the world and it infects amateurs and professionals alike. As a writer, I suffer from procrastination on a daily basis. Some people... Read More is about working for short intervals and taking a break, so your mind is sharp and primed to concentrate. Typically, it involves 25 minutes of work followed by a five minute break. Simple Pomodoro [No Longer Available] is exactly what the name indicates. It’s a gorgeous, unobtrusive extension where you can set a period of 5, 10, 15 or 25 minutes and start working. You’ll get an alert when time’s up. TomaTimer doesn’t look as good, but it’s more customizable. You can set the duration of the timer as well as short and long breaks. The icon also has a counter that indicates how many minutes are left in your session. With the right sounds to egg you on, you’ll get a lot more done. While not a Chrome extension, you can still open GetWorkDoneMusic in a tab and pin it, so that your tunes are taken care of. If that’s not your scene, find the best music to be productive online Find the Best Music to Boost Your Productivity Online Find the Best Music to Boost Your Productivity Online Listening to music helps you focus and get more done, according to music therapists. What kind of music will improve your mood, and make you more productive? And where should you start looking for music? Read More . 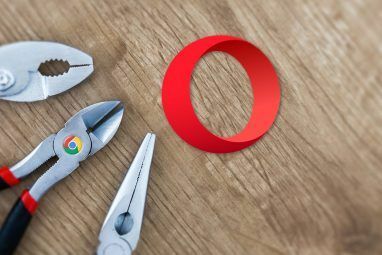 Chrome users are taken care of with this article, but if you’re on Mozilla’s Firefox browser, do you have similar great extensions to boost your productivity? We’d love to know in the comments below. To really turn "Chrome" into a Productivity Beast, you can also use the Chromium-based Ghost Browser. 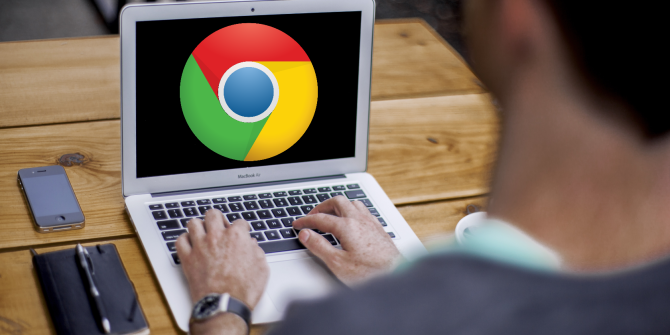 You can use all of your Chrome extensions (and even auto-import them) and it was built with productivity for tech professionals in mind from the ground up. I'm a big fan of Kanbanflow! hi , i know its not the write place to poste a request but can you write a poste on how to use the YouTube++ chrome extension, i looked every where no one had done one.